Mexican journalist Juan Carlos Huerta was killed in Tabasco on the morning of May 15 in what appears to be a targeted hit. His death comes on the one-year anniversary of the murder of journalist Javier Valdez, calling attention to the grave violence being faced by the Mexican press. Huerta was leaving his house in a part of town known as Flor de Trópico when his car was blocked by armed individuals in two vehicles who shot at him, hitting the journalist at least four times, reported news site Tabasco HOY. A woman who was traveling with the journalist at the time survived the attack, Diario de Tabasco reported. Governor Arturo Núñez said “it appears that they came to execute him,” according to Aristegui Noticias. Núñez said authorities were closing access to the city to find those responsible, Milenio reported. Video from news site La Silla Rota shows heavy armed police presence on the scene of the crime. 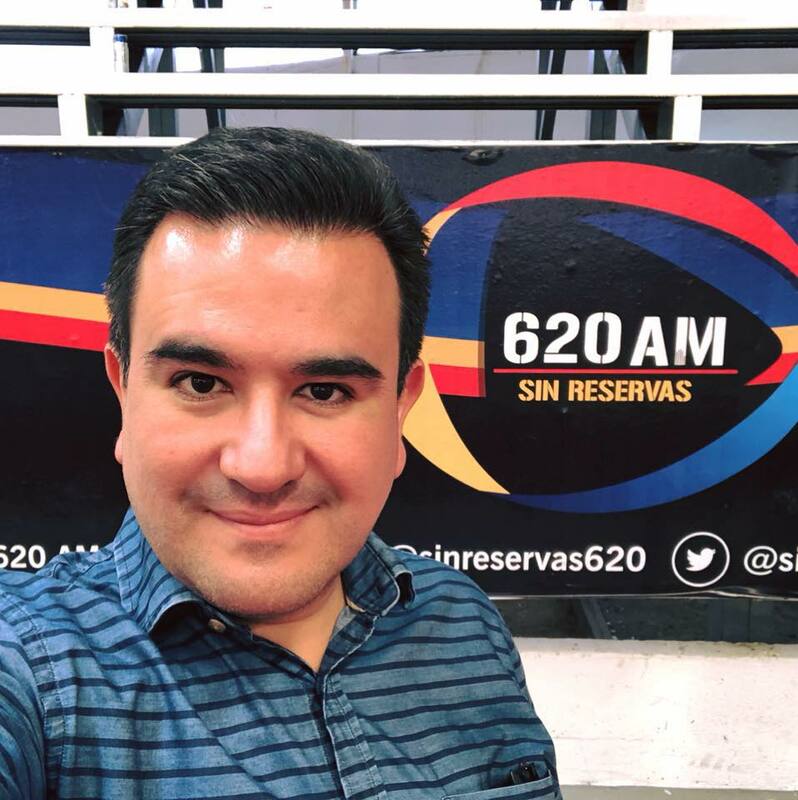 Huerta was general director at radio station Sin Reservas, which is based in Villahermosa, Tabasco. The station, which is video streamed online, recently celebrated its two-month anniversary. On May 8, Huerta posted a celebratory note on Facebook, acknowledging the success the station had seen and thanking many followers and supporters. He was also a host for the television program Notinueve at Canal 9. Huerta’s death occurred on the one-year anniversary of the murder of journalist Javier Valdez in Sinaloa. To mark the day, journalists around the country are hosting events to call attention to continuing violence against journalists in the country and the impunity that follows in many cases.